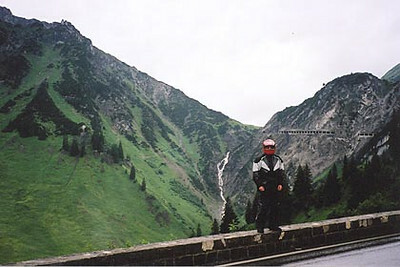 The Flexenpass (1784 m asl) is one of a series of passes in the western half of Tirol and Vorarlberg. The others being the Hahntennjoch (1884 m asl), the Hochtannberg (1676 m asl), the Faschinajoch (1486 m asl), the Furka Joch (1761 m asl) and the Gaichtpass (1093 m asl). I found the east approach to the Hahntennjoch very similar to the east approach to the Mendlepass in Italy.